The previous post in this series highlighted the opportunity for local newsrooms in virtual reality (VR) storytelling: the ability to create immersive environments, put viewers right in a story and create a visceral connection that otherwise isn’t possible. 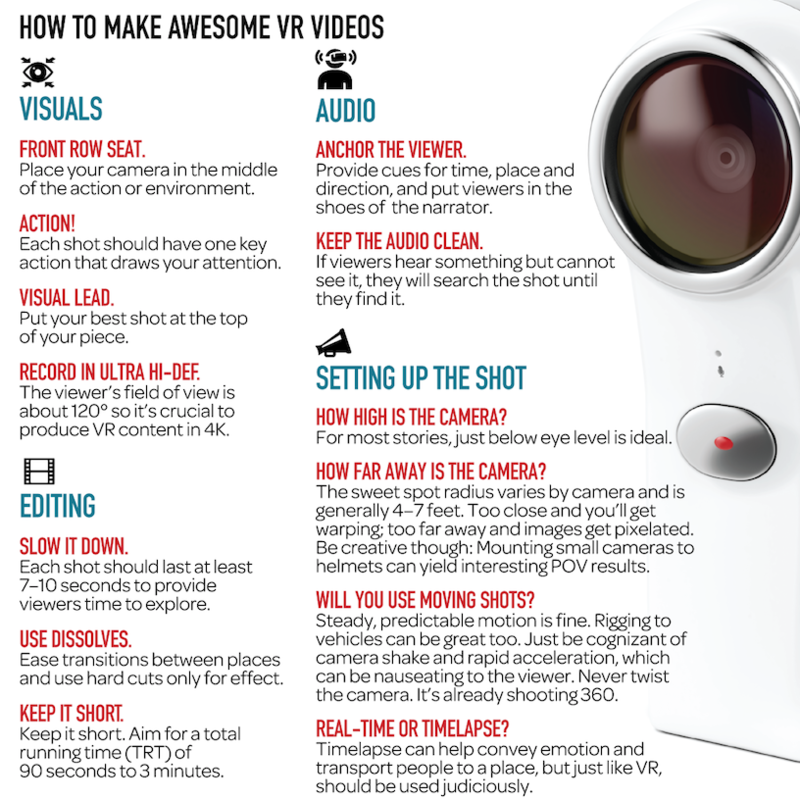 This post will get into the nuts and bolts of bringing VR into the newsroom. 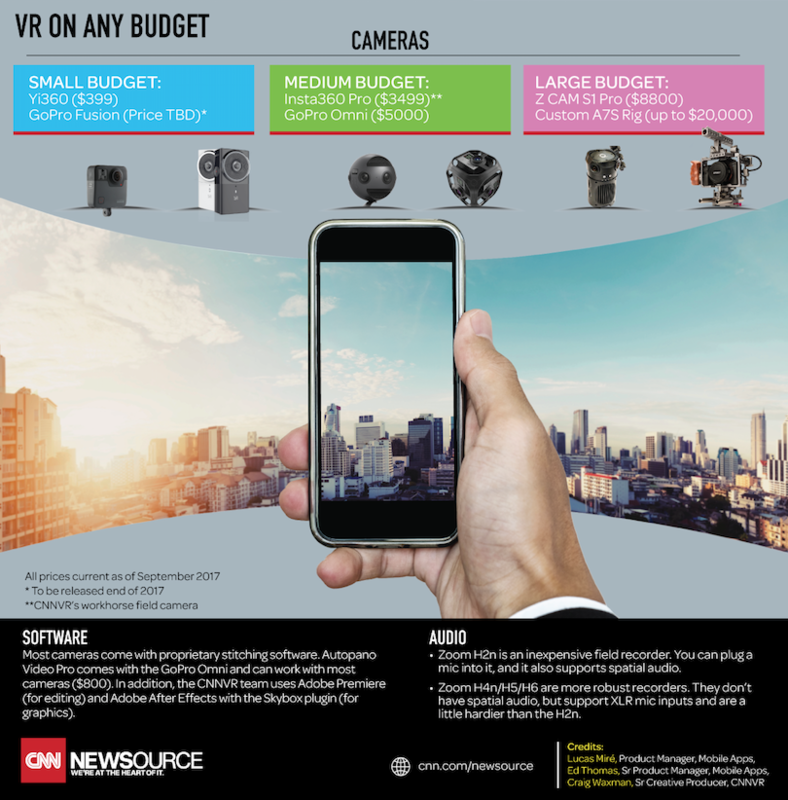 When it comes to choosing gear and setting up the shot, Craig Waxman, CNNVR’s senior creative producer, weighed in. Finally, a bit of technical detail: 360° video gets rendered as a standard MP4 with fancy metadata. For production, laptops are technically possible, but Craig recommends a fast desktop computer with powerful graphics cards (at time of writing, CNN uses Windows PCs with multiple NVIDIA 1080 GFX cards). In other words, whether you have a beer budget or a champagne budget, it’s possible to bring VR stories to local viewers for the ultimate way to show, not tell. This piece is produced by CNN Newsource as part of our ongoing conversations on news industry developments and opportunities with our partners in local news.